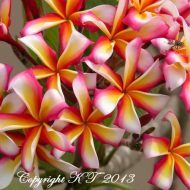 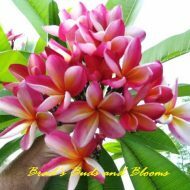 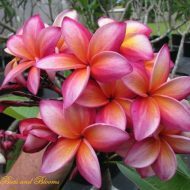 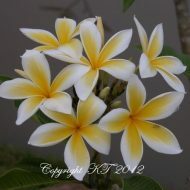 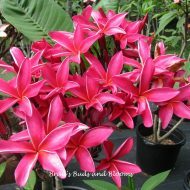 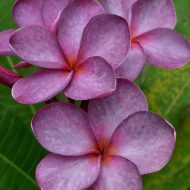 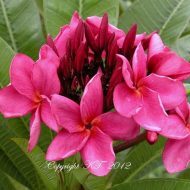 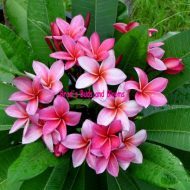 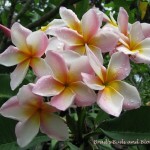 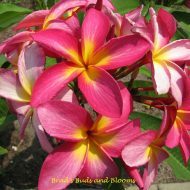 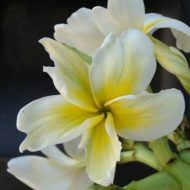 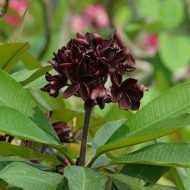 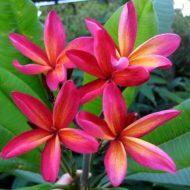 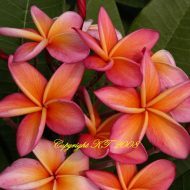 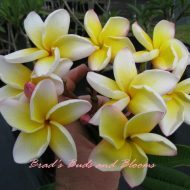 This wonderful and fast growing plumeria from California produces large clisters of rose-pink and white flowers with small yellow centers. 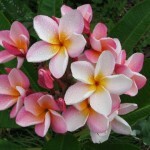 It flwers with care-free abandon, and the scent is a knock-out, with overtones of sweet roses and honeysuckle. 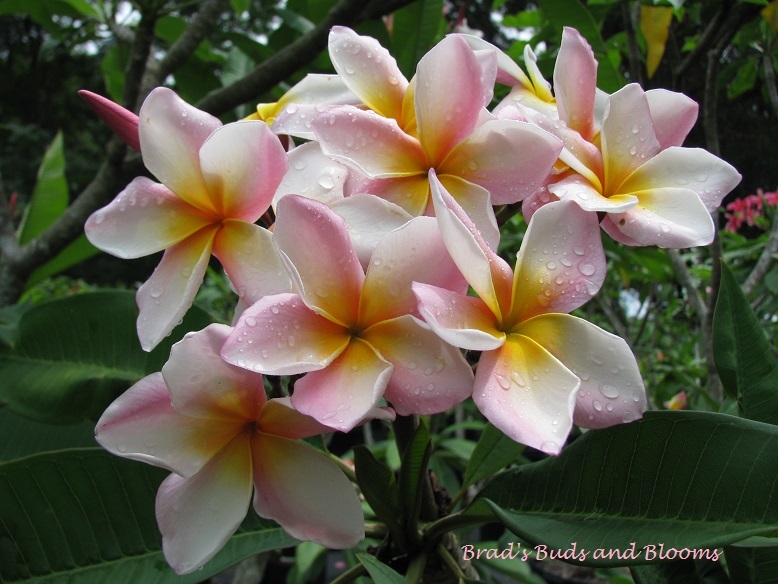 ROOTED–NOT GRAFTED—-plants average 9″-11″ tall -measured from the soil line. 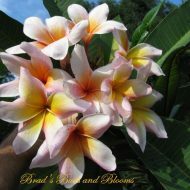 A Brad’s Buds and Blooms favorite!